Impress Sensors & Systems Ltd’s IMTG range of gauging level transmitters are designed for continuous submersion in liquids such as water, but have been redesigned to better suit the applications and the range extended to include a digital RS485 Modbus version. IMTG transmitters are suitable for applications in small (1 metre to 10 metre depth) tanks or containers, where conventional mechanical level switches and sensors are not suitable because of reliability issues and a higher degree of level ‘control’ and measurement is required. Typical applications include measurements of static tank level, container or chamber level, as well as rainwater-harvesting systems, standby generator fuel monitoring equipment, and asset monitoring of IBCs (intermediate bulk carriers) and storage tanks. Water-approved versions of the transmitter are also available for drinking water applications. 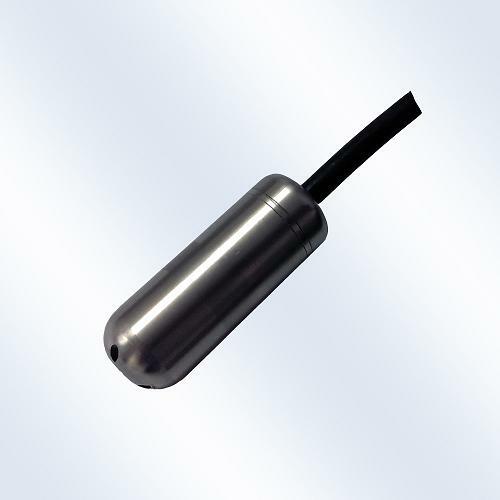 The IMTG transmitters use a piezoresistive, silicon pressure sensing technology and a stainless steel diaphragm, which provide excellent stability, repeatability and resolution. The sensor housing is made from stainless steel, making it ideal for reliable, repeatable hydrostatic level measurement. The sensors are available in nominal pressure ranges from 1.0mWG to 10mWG. A variety of cable materials are available, including PUR as standard, with PVC, FEP and TPE as options, enabling compatibility with any media. All IMTG sensors are temperature-compensated, calibrated and supplied with a traceable serial number and calibration certificate. Operating (media) temperatures are from -20°C to +60°C in non-freezing media. An RS485 Modbus version of the IMTG range (and other submersible transmitter ranges) will also be on display at the show. These transmitters are supplied with a digital RS485 interface and Modbus RTU output. The electronics incorporate a microprocessor-based amplifier, with level and temperature measurements made possible by RS485 Modbus RTU serial communication. Impress provides a standard software package, which enables the user to re-range, calibrate and adjust some parameters of the device. There is also a facility to data log via the software, which is useful for checking installation and behaviours of the application. As well as submersible pressure and level transmitters, the Impress stand will also feature a full working demonstration of the company’s compact, multi-channel, touch-screen range of controllers, including the CMC-99 and CMC-141. These controllers are ideal for the simultaneous measurement and control of a variety of water and wastewater applications, including intermediate pumping station measurement and control. The CMC-141, for example, is a compact, multi-channel controller with large touchscreen colour TFT display and up to 72 digital inputs/outputs. The ‘big brother’ of the CMC-99 controller, the CMC-141 provides all the same functionality and features, but offers a larger 5.7-inch backlit display, more inputs/outputs and new types of logic channels. Both controllers have an auxiliary 24V DC/200mA supply output on the back, which enables external sensors and actuators to be connected and powered by the controller. The controllers can also act as PID process controllers, providing a reliable control loop feedback mechanism for a variety of water temperature and level control applications.